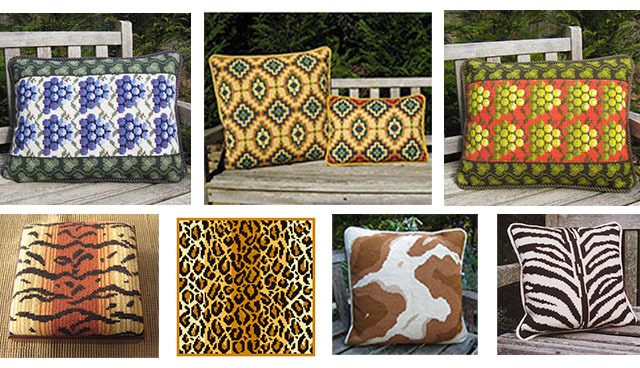 Several of these patterns can be used for upholstery. Berber Stripe and Honeycomb patterns are also available as small rugs. 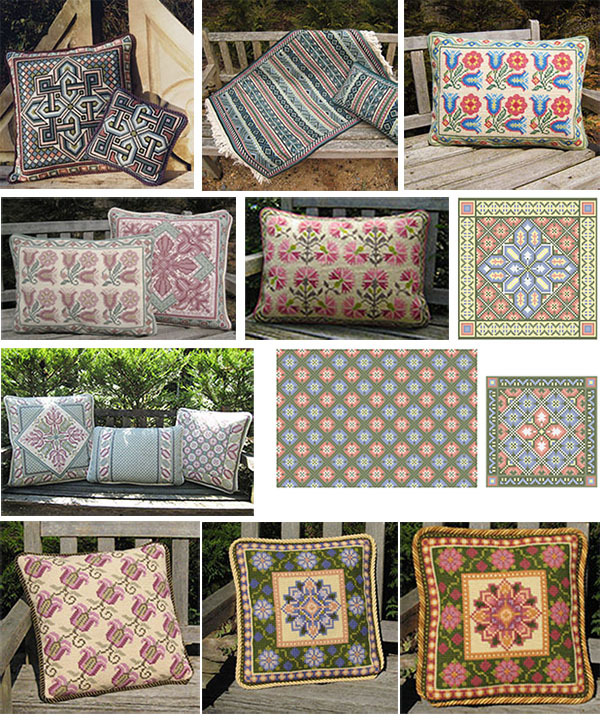 Please visit the Upholstery and Rugs pages on the website to see all options. 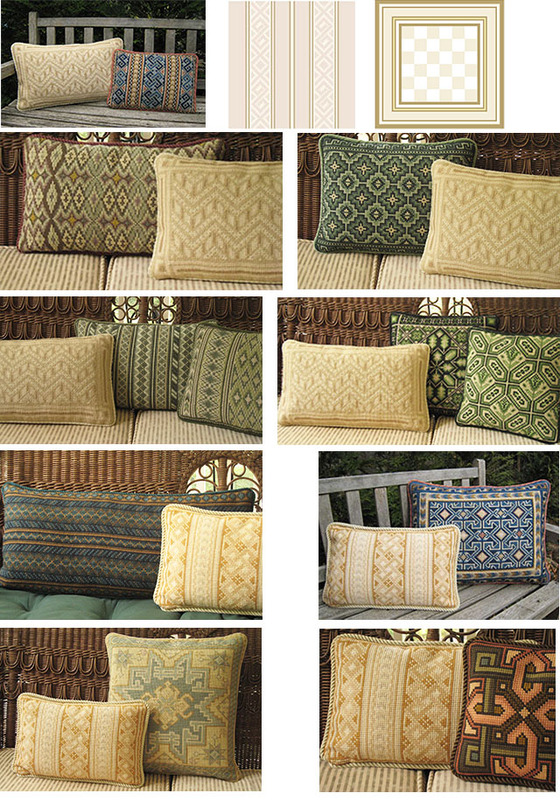 Greek Border can be used horizontally or vertically as pillow or upholstery. 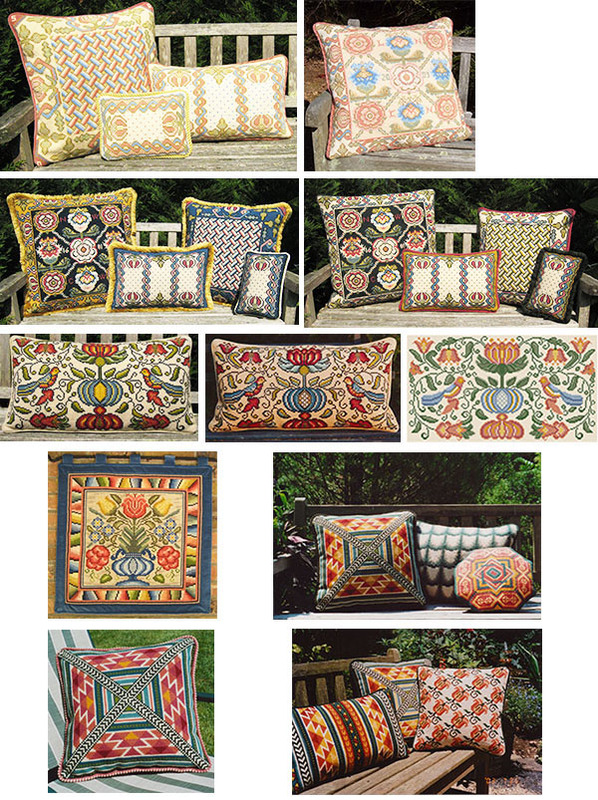 The Morville group, based on an Elizabethan pattern, is a magnificent gift to a bride and groom. Using all 4 sizes, they create a fabulous scene for a King size bed and, with the added initials and year of the wedding, are a lasting reminder of a once in a lifetime event. Colors easily combined with any of our other summer color schemes are those neutrals that occur in grain and grass seeds. Whether swaying in the breeze or shimmering in summer’s heat, wheat, straw and the many shades of off-whites are yet more reminders for some of us of summers past. For me, growing up on a farm in Austria, the scents of fresh cut hay and rye fields always evoke those memories. Threshing time was a big event as neighbors and threshing machines moved from farm to farm and fields were stacked with wheat, rye and hay teepees waiting their turn. The atmosphere was filled with excitement and we children were called on to help whether in the field, barn or kitchen. Food was prepared for everyone from vegetables and fruit ripe in garden and orchard. 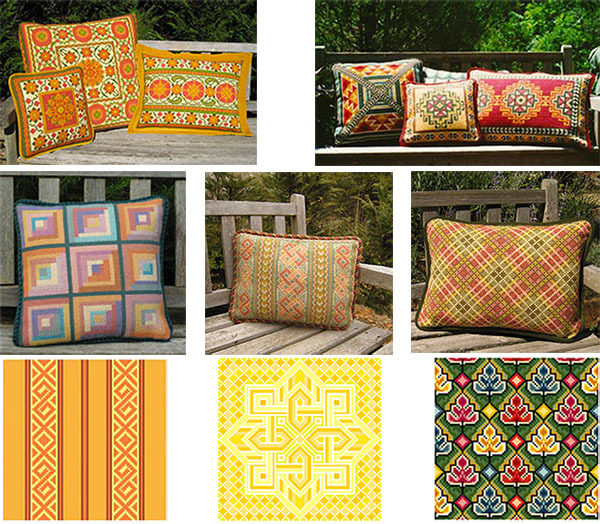 That concludes my ramblings on stitching cross-point™ Summer Color Schemes. I hope some of my suggestions for colors and color combinations will inspire you to create your own favorites be that blue and white, ocean hues, woodland or mountain, field or meadow.